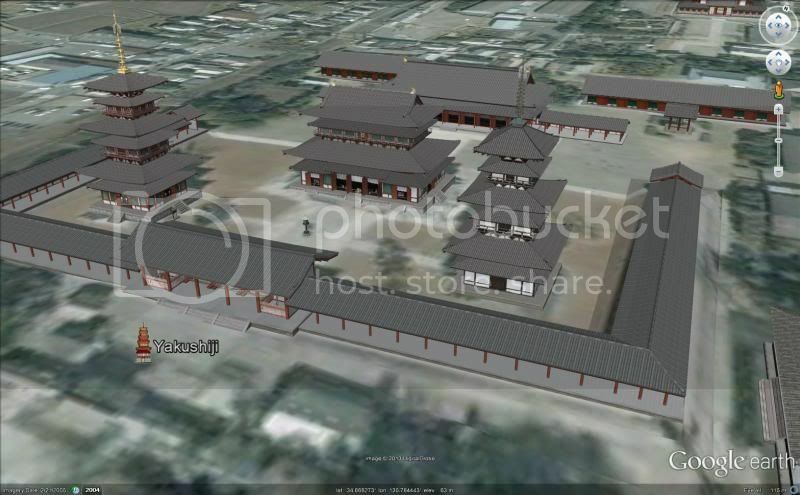 With Google beginning to phase out the older 3D models and no longer adding new models to Google Earth from the 3D Warehouse, I thought it would be a good time to look at some of the best 3D models that we’ve ever seen. What are some of the models that impressed you the most? I am impressed with the models of chi-ko. His collection of traditional Japanese architecture makes a particularly useful adjunct to many of the important Japanese temples. With his permission, I am making some of them downloadable from my GEC placemarks. (See my Overlay Maps of Japan’s 8th Century Capitals > Heijō Kyō > The 7 Great Temples of Nara > Tōdaiji, Kōfukuji, and Yakushiji for examples of what I have done so far. I suppose these models will be in the 3D Buildings Layer for some time to come, and my effort to re-host them is merely to ensure that they are conveniently available once they have been removed from the Layer. I enjoy an extremely fast internet connection, so the download speed is acceptable. I’d appreciate feedback about the download speed from other counties. Mine wasn’t exepted. It was too complex. Woo. Now I made it less complex and cannot add it to the layer anyway. This is annoying.